How can i get left side-navigation's menu links with service or list? Not the answer you're looking for? Browse other questions tagged web-services navigation spservices current-navigation or ask your own question. How can I delete Navigation Links from the Quick Launch in SP2010? How to get rid of the “Edit links” link in the top navigation (SharePoint 2013)? 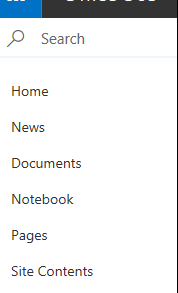 SharePoint 2013 left navigation - How to add links?